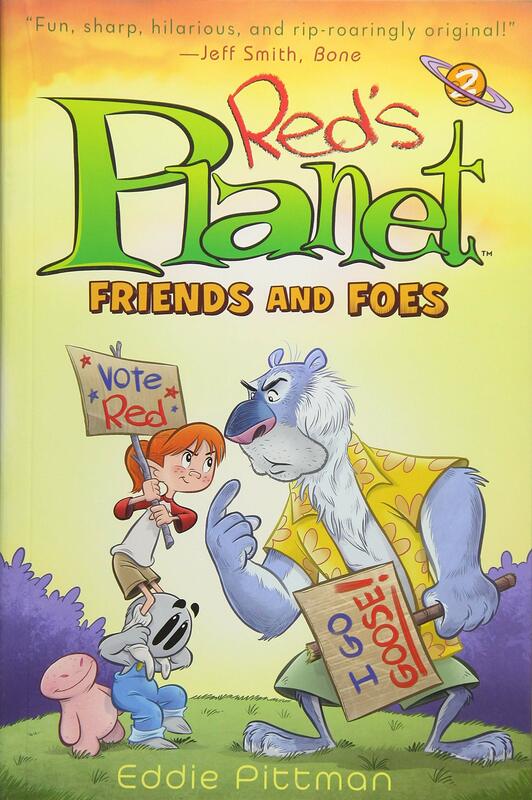 The first volume of Red’s Planet was sheer joy from beginning to end, a true all-ages adventure able to be appreciated by adults as well as the children they might be reading it to. The one minor disappointment was a story unfinished in a single volume, but Friends and Foes, if not finishing Red’s story, does bring this episode to a conclusion. Red, only known by the nickname she hates, is ten years old, and very happy to be making a new life on an alien planet, away from foster parents and fellow orphans she disliked. She’s stranded on the planet along with a couple of dozen different aliens, one of whom, Goose, is a sort of ranger, the only person there willingly, who chose the place because it was isolated and largely unpopulated. The arrival of all the new people irritates him. It’s a kind of complicated back story, and is best experienced by reading that first book. You won’t regret it. 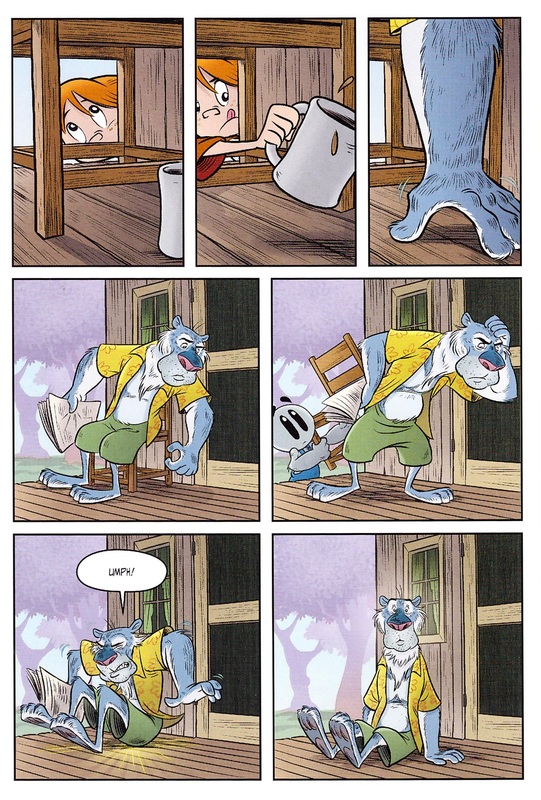 Much of Friends or Foes is set in the equivalent of a refugee camp in the grounds surrounding the shack where Goose has until now led a peaceful life. He resents the intruders, despite having been told by his boss (via long range communication) to share supplies, which he has no intention of doing. 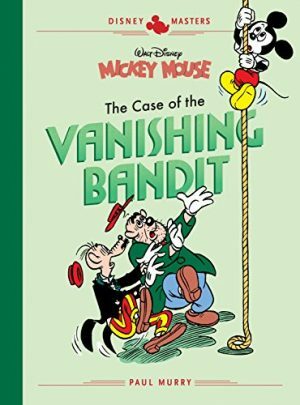 Eddie Pittman’s plot this time has a greater sense of being constructed to incorporate specific events, so not as piecemeal (although a baseball sequence is rather random), and an election campaign occupying a fair few pages complete with decorative typography brings Pogo to mind. The inspiration of Bone, which also featured an election sequence, is explicitly credited. With a settled location and the danger diminished, Pittman expands on the characters of his broad cast. Red apart, their personalities are all archetypes to some extent, but Pittman makes fantastic use of what we’ve already seen some of them can do. It’s not possible to overstate how wonderful the cartooning is. 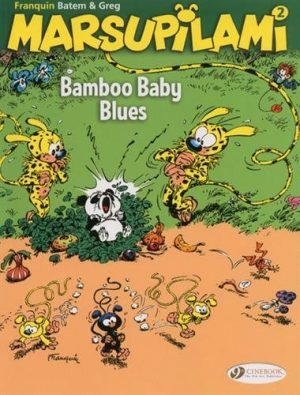 It’s simple, but so lively and effective, the designs enabling a full emotional range even in blobby creatures, and the sense of movement is richly expressive. The colouring adds to the mood, being flat and innovative in supplying an unearthliness to what would otherwise be commonplace rocks and trees. 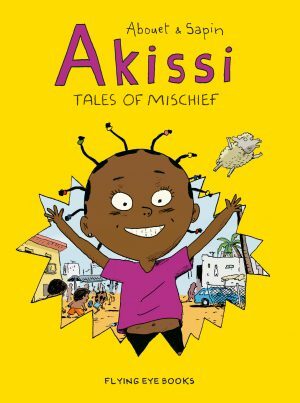 Any child will be charmed, enthralled and happy on finishing this book, and so should most adults, with a planned third book extremely good news. 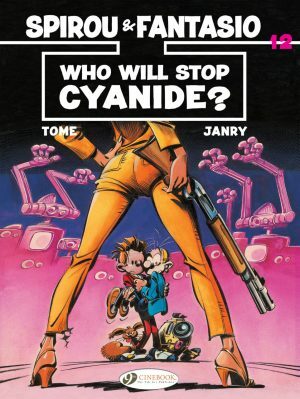 Spirou and Fantasio: Who Will Stop Cyanide?